There are a bunch of fish and the flows are amazing...espicially if you want to swing! if you want to swing flies for Rogue winter steelhead you better be thinking about the next couple weeks. The weather looks super inviting and will probably help the winter water temps which in my experience brings on the bite. there are fish in the whole system but as the season matures I would look at the upper Applegate and Upper Rogue. I like to swing the riffles with these flows, it seems like the sun penetrates and warms the fish faster in these sections. I also choose big meaty flies for this time of year. Of course nymphs and egg flies are still as deadly as ever. Break that Cabin Fever and get out after those winter steelhead! Time to swing flies for those Rogue River Steelhead! Swing Big for Rogue River Winter Steelhead! Trout Spey Revolution and Southern Oregon! The Trout Spey Revolution has begun and for good reason, it is deadly effective. With more and more Manufactures jumping on the trout spey revolution the fishing possibilities are endless. Companies like Airflo, OPST, Echo, and LTS all make tactical spey gear for both double and single handed fly rods. 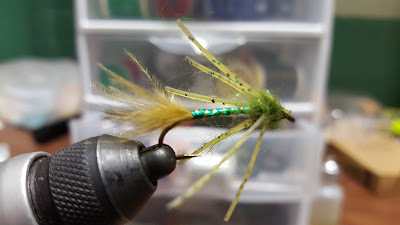 With todays short fat skagits I can throw mini intruders, monster zonkers, and huge meaty flies that I never could before. This has taken my Williamson river fishing to a whole other level. I was finding traditional skagits to long for some of the runs I fished before as they didn't leave me much room to strip. The Williamson is a fishery where the strip is an essential as those large Predatory Redbands like to see movement. 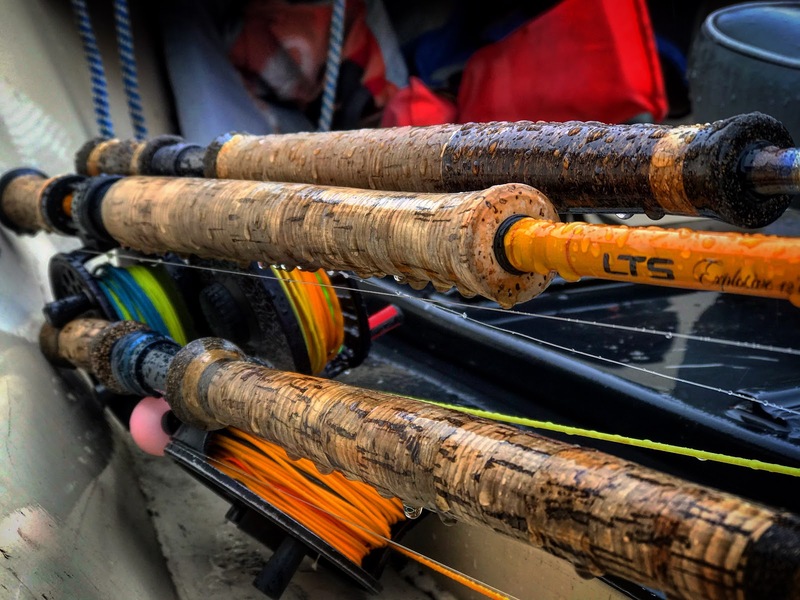 With Todays shorter skagits, and switch lines you will have plenty of running line to strip after your swing. Beyond their "stripability" these short bruisers make it easy to cover all of the water column. all I have to do is carry a Skagit and tips. I fish from a light Polly intermediate to a 6' chunk of T7 with my 220 grn Commando Head, try doing that with at regular 6wt weighted forward. just think of the possibilities that a chunk of t7 will bring to your favorite trout stream...To the Williamson its been a revolution. If skagits and stripping aren't your thing, you can still join the revolution. Companies like LTS are making triple density scandis that turn over like butter and land so gently that they wont be noticed by even the wariest of trout. the cool thing about these type of heads is that they swing strait. there is no heavy back taper that swings lower than the fly. They also come in several different sink rates. from the FHI to the 135, they will cover any water you'll find. Its a brave new world, the Trout Spey Revolution has begun, those who have become part of its movement are growing their trout game exponentially, the sky seems the limit as to what new presentations we can come up with. With all these new tools at hand, you'll be able to open up areas you previously thought were out of your reach. More importantly, you'll rediscover the fun. Only one question remains...will you join the revolution? My favorite Williamson River Damsel Fly Pattern Video is now on YouTube. P.B.F.E is my go to fly on the Williamson when the fish are looking at damsels. In this video you will find the materials you will need to tie it along with tying instructions. I hope you try it on your home water. If you love Fly Fishing, Videos about Fly Fishing, and The Rogue and Williamson rivers you really should check out Channel The Life Outdoorz on YouTube. This season we are committed to bring a ton of different content. 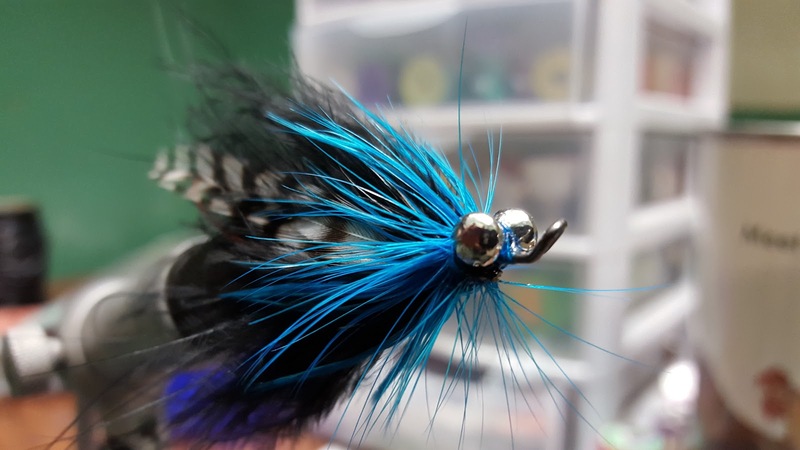 Friday Guide Flies- We tie and describe some the files that make us successful on the Williamson, Sprague, and Rogue Rivers - Every Friday at noon. 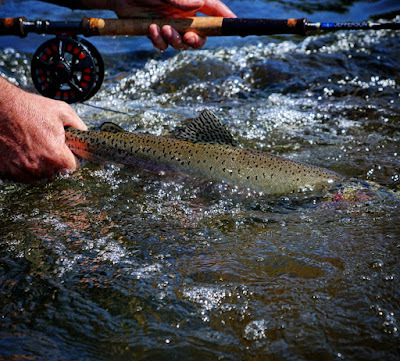 Spey 101- all the questions you were afraid to ask about spey fishing will be answered here. 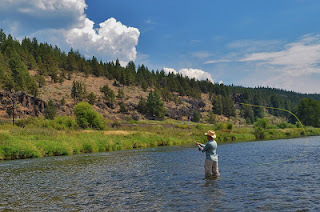 Home Waters- Southern Oregon has so much to offer we feel blessed to live here and fish here. So blessed we feel like we have to share it with all of you! Thanks again for reading this blog. I know we haven't been updating it as much as we should, but that's going to change this season. Next Friday will be our first Friday Guide Fly, but until then check out this video of a fun trip Aaron and I had on the Williamson River. Get your swing on! A Rogue River Report! The Rogue is in good shape if your looking to swing. We have done well in the shallow stuff early and late and hit the shade and holes midday. Like most Steelhead this far from the ocean the Rogue fishes well swinging naturals! On cloudy days we have even rose a few fish skating. I like to hit it when the water temps are at their highest level in the day, when the fish are moving. I concentrate on the tailouts right before a big white water section. If the suns out forget skating, throw on a skagit and hit the holes. Fish are consistently being caught from the canyon to the top. The trees are just starting to change, making the October Rogue a river you’ll never forget. Get out there! 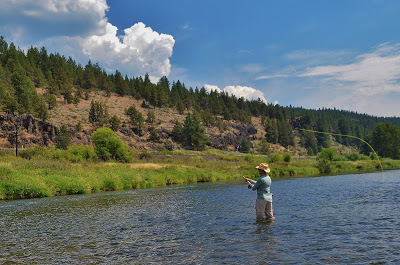 Southern Oregon’s Williamson River is heating up! After a slow start we are starting to see a few more fish hitting the system, but the best is yet to come as the Lake warms. The cold water migration seems to be a bit later this year due to a couple of things. We had a wet spring and early summer. March dumped and early June added to the lake levels with some cold water. The Klamath Tribes called water early to keep water in the lake, as this would help the juvenile Cwaam get to Harriman Springs before the summer sun heated it to dangerous levels. The weather has been cooler than normal. The lake hasn’t warmed to the point of pushing fish up the river. These are three things that will make Williamson the July fishery to be on! The rest of June can be great as well, all it takes is a week of harsh sun to push a big pod of fish up the river. If you have been waiting to fish the river I wouldn’t wait any longer. The crowds haven’t hit yet and the river is clearing fast. Hit the riffles until the river clears and the algae clears. Once the algae clears hit the deep stuff. I like to swing softhackles, and buggers at depths, to match the conditions. Up your Trout flyfishing game with the Single Handed Spey!